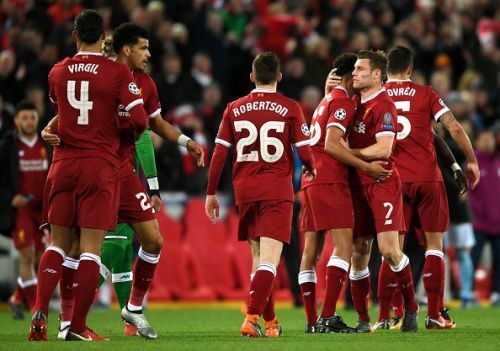 Liverpool thrashed Manchester City 3-0 at Anfield in the first leg of their UEFA Champions League quarterfinal tie. First-half goals from Mohamed Salah, Alex Oxlade-Chamberlain and Sadio Mane gave the Reds just the start they wanted in the tie. But even the most optimistic Liverpool fan would've been biting his nails at half-time given the Reds' general defensive record this season. Here are the main reason the Reds were able to send a raucous Anfield crowd home happy. Liverpool captain Jordan Henderson, James Milner and Oxlade-Chamberlain started in midfield for the Reds, in the absence of the injured Emre Can. It was imperative for the Reds to replicate the high-intensity midfield performance from the league game at Anfield in January, which they won 4-3. Henderson and Milner started off brilliantly, as they didn't give Kevin De Bruyne and David Silva any time on the ball. That ensured the radars of City's two midfield magicians went awry. Milner, in particular, was absolutely outstanding, winning several tackles, stopping City on their counter-attacking runs, whenever they had the chance. 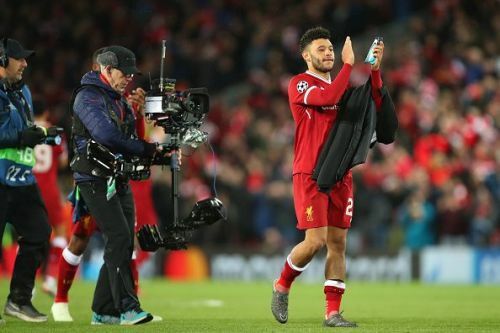 Oxlade-Chamberlain brought his usual energy to the fore, and an excellent performance was capped off by an absolutely stunning strike in the 21st minute, that hit the corner of the net even before Ederson could move. The only sour note on the night was the late yellow card picked up by Henderson, who will now miss the second leg, with a suspension.